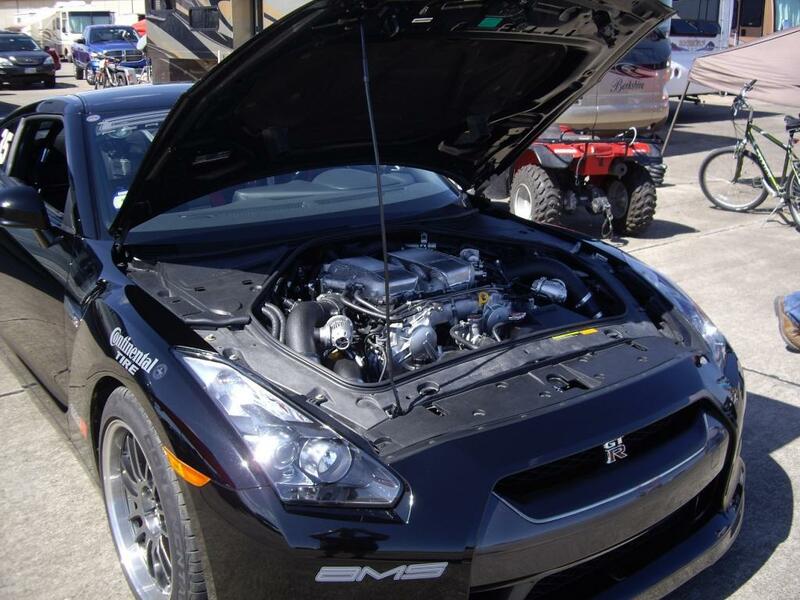 AMS took one of their customers Alpha 12 Nissan GT-R's to the Texas Mile, and set a new speed record for a Nissan GT-R. In a standing mile, the car managed a 216.9 mph pass, beating the Alpha 12 from Russia that did 215.9 mph in the wet just a few weeks prior. Video after the break. AMS Performance brought the Antigua/Barbuda Alpha 12 GT-R to the October 2011 Texas Mile in an effort to set a new world record for the fastest R35 GT-R. Even with windy and unfavorable conditions at this fall's Mile event, the Alpha 12 owned by Andrew Hadeed of Antigua Barbuda was able to secure the title of world's fastest R35 GT-R with a top speed of 216.9mph! AMS would like to thank Mr. Andrew Hadeed, Mr. Habib Gebrael and Rocket Science Racing - our Alpha Dealer in Antigua, and the people of Antigua & Barbuda for their support of this build. This Alpha 12 will soon return home to your country with a new world record!